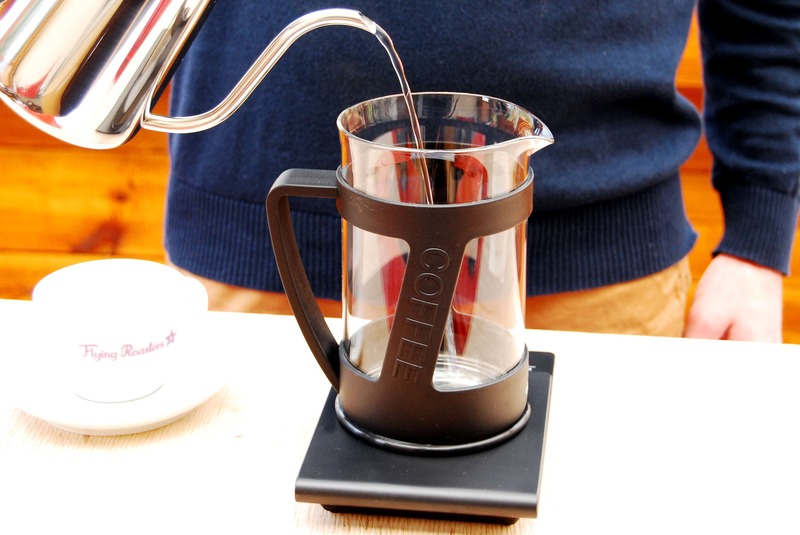 The French press – aka cafetière, coffee press, etc. 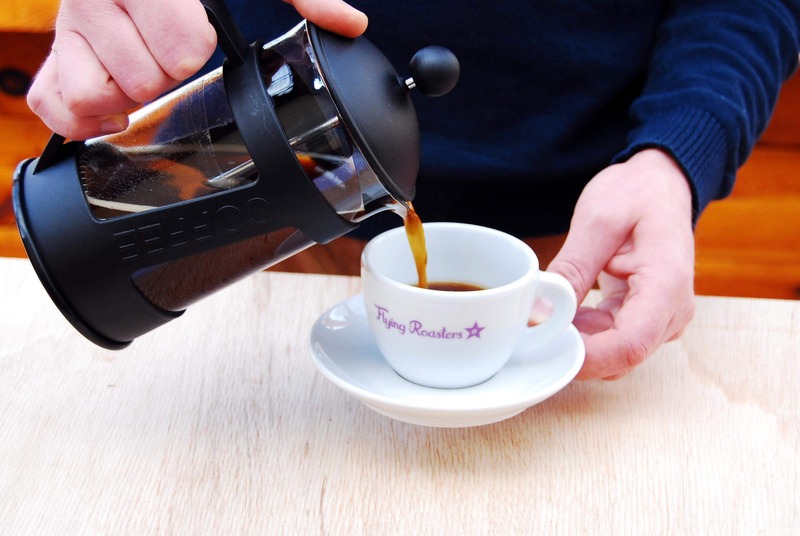 – has been a popular method of coffee preparation for over a hundred years: Invented in France, patented in Italy and refined in 1974 by the Danish company Bodum. 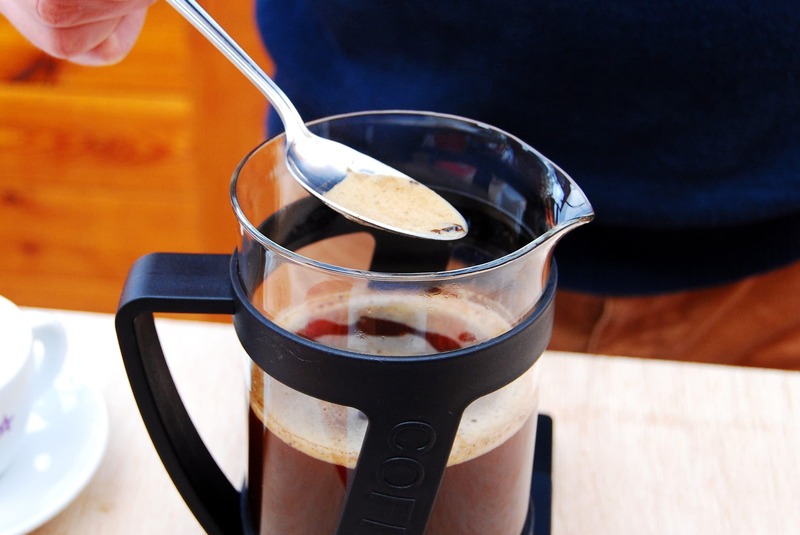 We don’t care where the French press comes from, we just love it because of its simplicity and the creamy, rich-bodied coffees you can brew with it. We recommend this preparation method for the following of our coffees: Pintail, Funky, Goldfinch, Fire Finch, Sunbird and Steller’s Jay. Pre-heat the French Press with some hot water. Grind 24 g of coffee for 400 ml of water. The rule of thumb is 65 – 70 g per 1 l of water. The dose varies according to your taste and the coffee used. Grind should be medium-coarse roughly the size of sand. 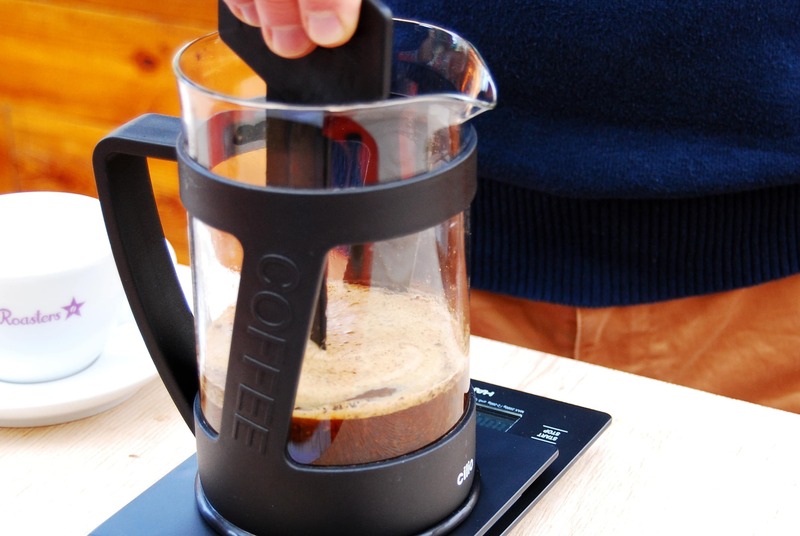 Add ground coffee to French Press and make sure the coffee bed is level. Pour half of the water then stir a little. Pour the remaining water and let it rest for about 4 minutes. Break the crust and remove the floating foam from the surface – this results in a cleaner tasting cup. Position the plunger on top and press the filter down. If it’s hard to press, that means your grind is too fine. 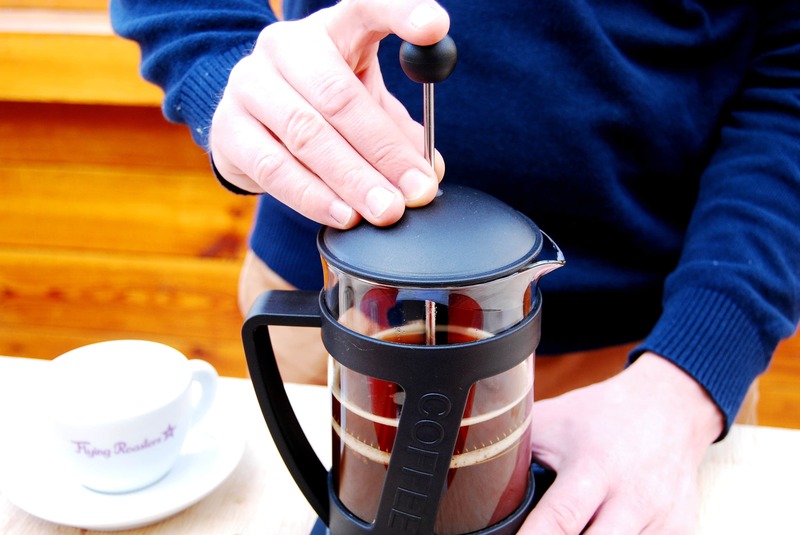 When you’ve finished pressing, serve the coffee immediately. Don’t let it sit, as this will cause it to continue brewing and over-extraction. 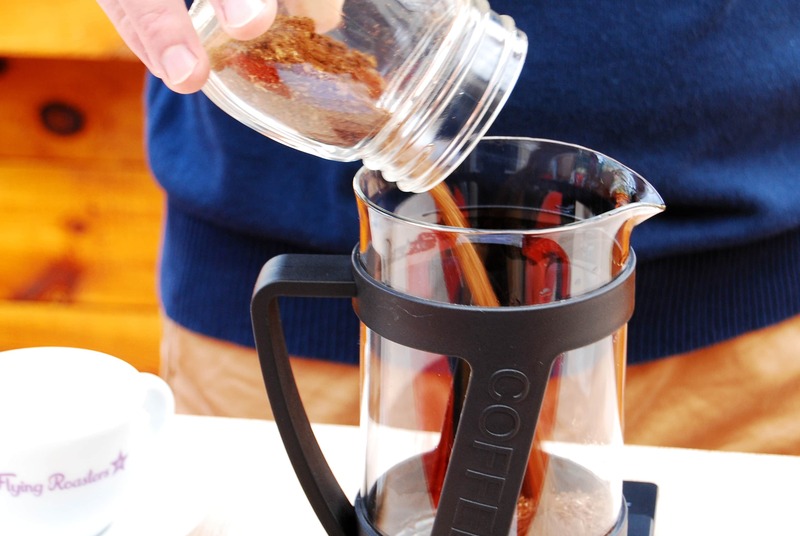 French press coffee is best served directly or poured into another container.